Many traditional valving systems require a considerable amount of piping, tubing and fittings to create the necessary circuitry. Clippard acrylic manifolds provide an efficient alternative, saving assembly time and reducing the amount of space and clearance needed for installation. 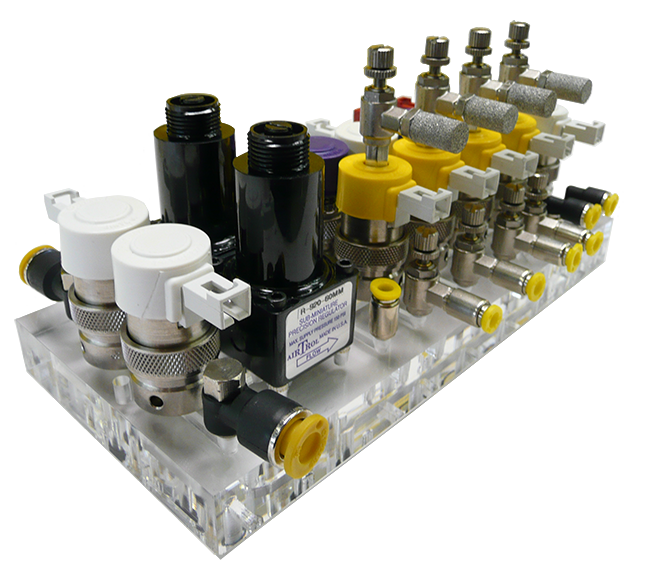 Acrylic manifolds provide integrated circuits and a place to easily mount many types of components with convenient locations for connections. All interconnections are machined right into the acrylic, reducing the amount of piping needed and ensuring highly accurate connections. Component identification can also be etched right onto the surface of the subplate to identify every input, output and valve. This keeps the pneumatic circuit lightweight and neat which allows for fast, simple assembly and quick, easy visual inspections. Looking to save even more time? 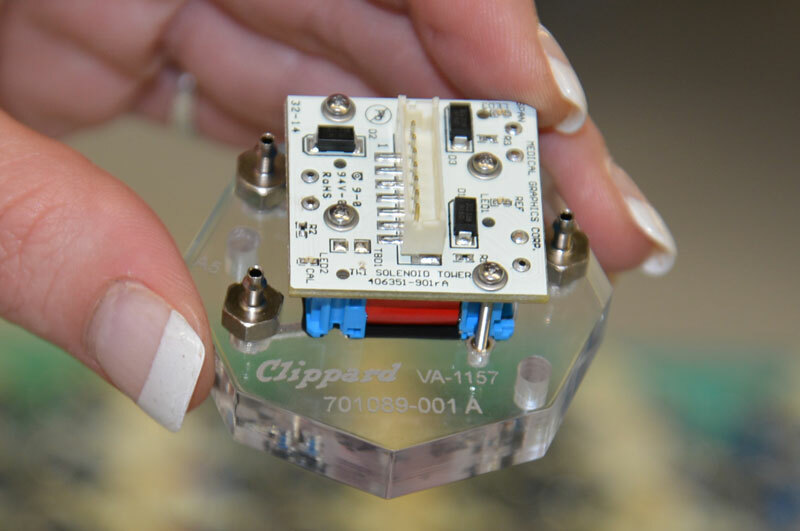 Clippard's Value-Added Department can simplify assembly even further by pre-installing components for you. 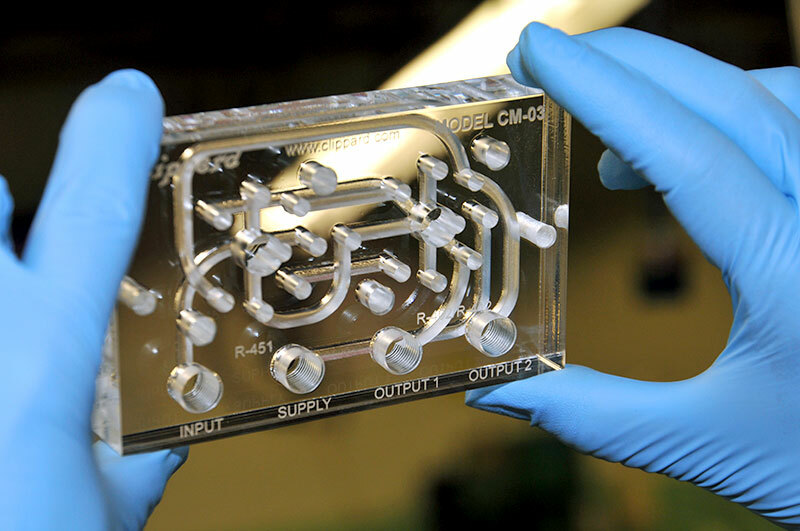 Clippard designs and manufactures standard and custom multi-layer acrylic manifolds for a wide variety of applications. Our Acrylic Department is able to mill paths as small as 1/16" and can tap as small as 1.7mm threads directly into the manifold. Clear acrylic manifolds are ideal for applications where pathways may need to be inspected for cleanliness. Manifolds can also be manufactured in a variety of colors including red, black, blue or yellow. Clippard's Acrylic Manifold Department is run by Debbie Rahm. Debbie was hired in 1998 as a machine operator in the CNC area. She quickly became known as the company's internal problem solver, a quality she has demonstrated many times over a range of roles. 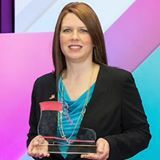 On March 26, 2015 Debbie was one of 130 Honorees and Emerging Leaders honored by The Manufacturing Institute at the STEP Ahead Awards in Washington, D.C. She is an exceptional role model for women in manufacturing and a true leader here at Clippard.